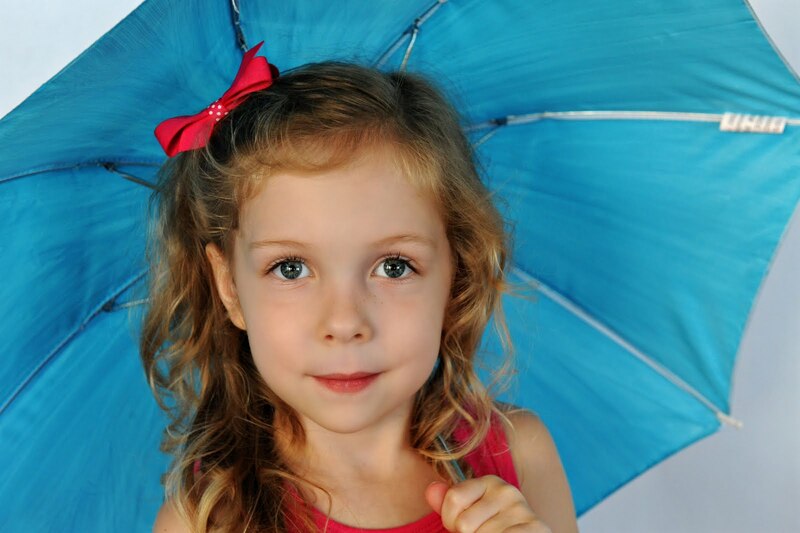 Every parent says it… they grow up so fast! In just a year’s time, they go from snuggling and sleeping most of the day to toddling around the house, laughing, and calling out for “Ma Ma Ma”. The bittersweet thoughts about our last baby's first birthday & the desire to capture this fun time in my little one’s life inspired the theme for Liv’s party: One Year Old in a Flash. 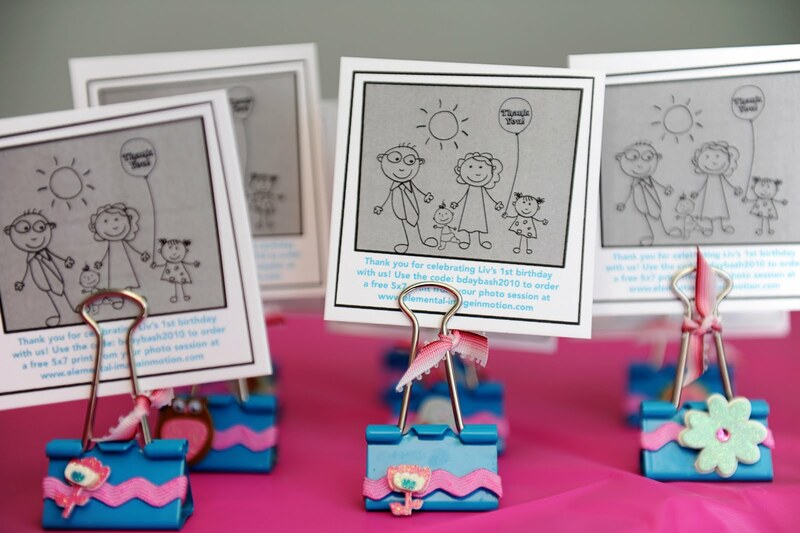 Invitations are one of the best parts of party planning! They set the tone & get people excited about being a part of the celebration. I’ve worked with Ginger, of Beyond Design, on at least 5 parties in the past, & she always delivers way beyond my expectations! 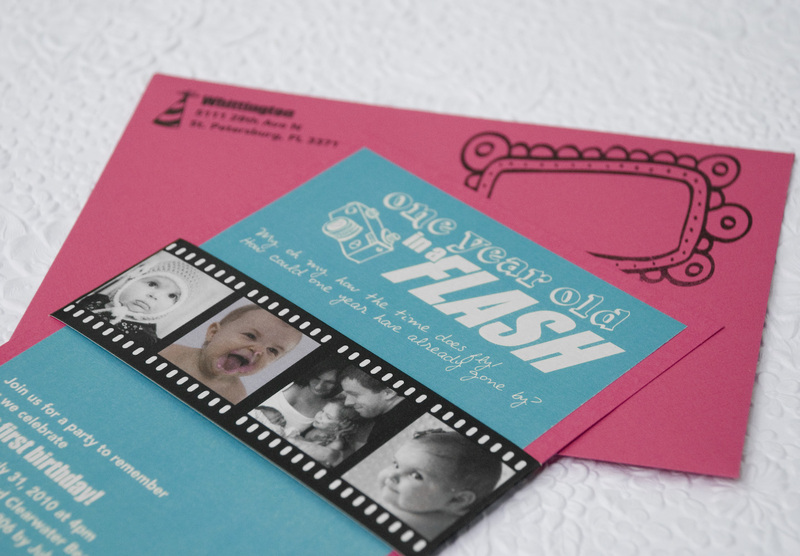 I told her the party would be centered around photos, asked her to make the invites casual & fun, and gave her the color scheme and party details. 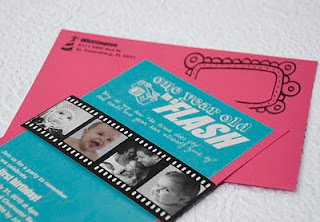 I couldn’t be happier with the invitation & two inserts she designed! She made some really fun graphics we ended up using for other aspects of the party too, incorporated photos of Liv on the “film strip” band that went around the invite, and even put a little frame on the envelope for the photo stamps I ordered. The first insert told the guests we would be making a time capsule for Liv to open on her 18th birthday. Contributing to a time capsule is a great way out of town guests who can’t attend the party can join in the celebration, and the perfect opportunity to give a meaningful gift before they’re old enough to start asking for the latest Dora toy :) The second insert let everyone know there would be a photographer at the party to take pictures of them and their family. I was really excited about this aspect of the party… first birthdays are difficult to plan because although they’re in celebration of a one year old, it’s really mostly for the adults. 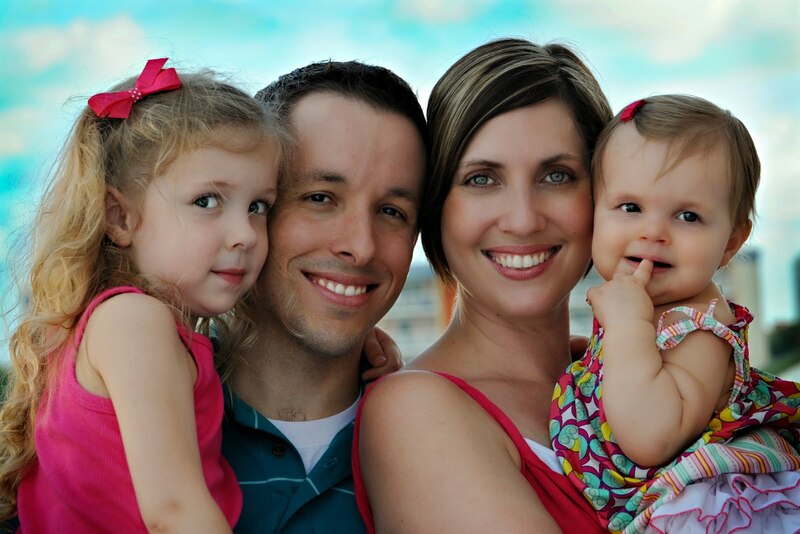 Mini photo sessions were a fun way to keep all the guests entertained… and who doesn’t need a family picture?! This is probably the best time to mention that all the pictures below were taken by the very talented Dawn, of Elemental Image. She arrived early to the party to take pictures of the decor, mingled with the guests to get candid shots, did personal photo sessions with each of the families, took all the “must have” blowing out the candles, opening gifts etc. pictures, and put together a slideshow of the edited images. She worked hard, got some amazing photos, and out guests raved about her! This is the first time I've hired a professional photographer for a party and I'm so glad I did! It was really nice to not have to worry about grabbing the camera at just the right moment; I knew she was getting great shots of all the important things, so I was able to just enjoy the party and our guests without having to be host and photographer. Figuring out what food to serve is my least favorite part of planning a party. BUT, I’ve found a way to make it fun for me, dessert tables! You know the amazing Amy Atlas right? Well, I don’t mean personally… unless you’re Martha or Oprah or Kelly Ripa… I mean you’ve seen her incredible work right? She designs and brings beautiful dessert tables to life. 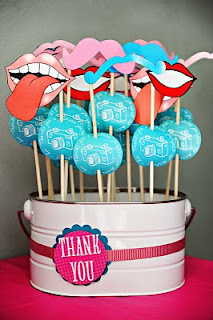 I drool over her blog on a regular basis and incorporated some of her ideas into the dessert table I put together. There’s quite a bit to cover with this table, from the backdrop, the food, the serving dishes, the printed pieces, etc, so I think I’ll dedicate a separate post to the dessert table and just give you the basics here (check out the post about the dessert table here). I made the easy stuff: marshmallows, chocolate dipped Oreos, & white chocolate coated popcorn. I ordered the most adorable rose flavored mini macarons from Sparkles Kitchen. A local bakery made the white cupcakes with pink frosting (you can buy a file to make those cutesie cupcake picks of your own birthday kiddo in my Etsy shop), and the Hershey’s Raspberry Bliss wrappers were just the right color. Neat rows of water bottles with custom labels, that Beyond Designs made, filled out the table. We didn’t just have desserts though. I also served fruit kabobs, deli wraps, and hummus with pitas. And lemonade… just because I love this jug! Next to the food, I set up a little station for the Time Capsule. It had the time capsule box itself (not pictured), some stationary I printed using the really remarkable Ink Bloom product (separate post on that coming soon) & some pens so that people could write a little note to include in the time capsule if they had forgotten to bring one to the party, as well as a little card with some suggestions about what type of things you may want to include in your note (i.e. predictions about the future, advise you would share with an 18yr old etc). 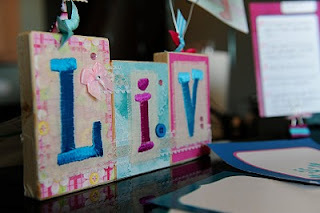 Also in this area was the embroidered name blocks made by Childmade. You don’t see them here, but there are wire picture holders attached to the top of the blocks which held 3 5x7 pictures of the birthday girl. Lastly, I set up a 6’ kids table and chairs on the balcony, covered it in a roll of white paper, & put crayons out so that the kiddos could draw a picture to include in the time capsule… and it doubled as a good spot for them to eat. The décor for the party was pretty simple. The Cottage Market made 12 glittery clothes pins for me, in the colors of the party of course, & included some twine which I strung between two 3M hooks (3M hooks are my secret party weapon!) along the stairway. 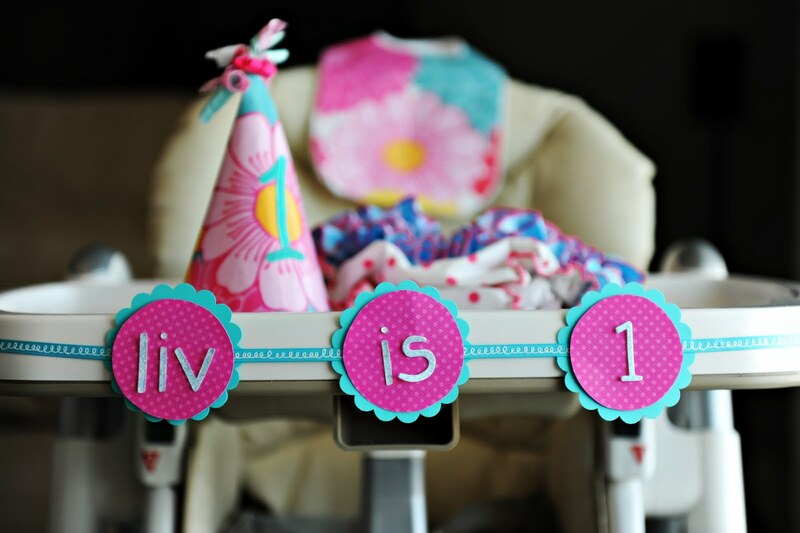 A picture from each month made for a sweet banner & a really neat way to see how much Liv had grown over the year! I also decorated with 17” round balloons… I loved the impact those big balloons made, but it took some work to find them! After lots of research and calling all the wrong places, I finally found Rick at Balloon Productions. He not only does awesome large scale productions, he also supplies the local car lots with… you guessed it, 17” round balloons! He was so nice and humored me my request for just the right shades of pink and teal balloons. Lucky you if you’re in the Tampa Bay area, Rick is great to work with and can fill pretty much whatever balloon request you can dream up! The last little bit of decoration was to the birthday girl’s highchair. I made this little banner at the, certainly by now, famous scrapbook shop, Whim-So-Doodle. They have a workroom at the back of the shop where you can use their die cut machine and punches. I saved a lot of money on this little project by using their tools. I picked out three sheets of paper, punched three scallop circles from one sheet, 3 smooth circles from the second, and die cut the letters out of the third. They even had that adorable ribbon for sale by the yard. It all cost me less than $7. Also pictured here is Liv’s cake eating garb, the party hat & bib I made from one of those reusable shopping bags they sell for a buck at TJ Maxx (more details to come) and the too cute for words ruffle butts Sherbet Baby made. 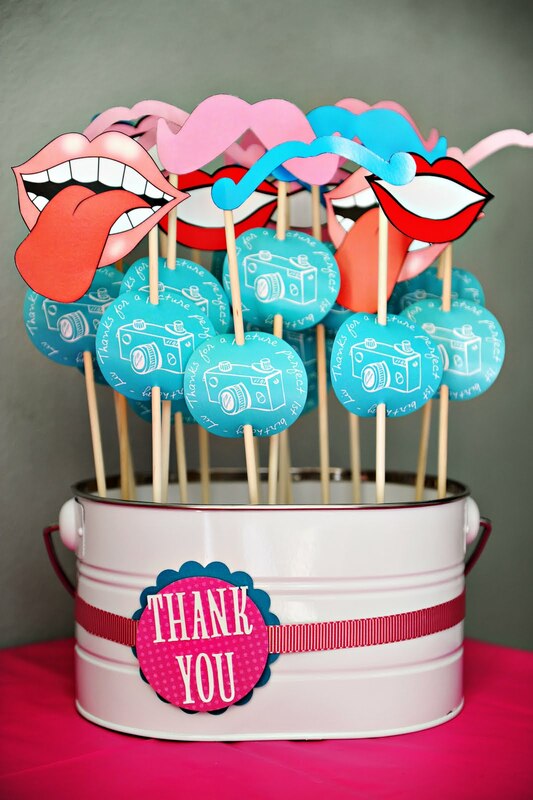 I can’t decide if the dessert table or the photo sessions/props were my favorite part of this party! I set up a space for the photo sessions that was out of the way of the rest of the party. To create the backdrop, I rented a pipe frame (it’s the pipe from the “pipe and drape” rental companies rent for use in creating walls/dividers in convention centers) and draped two lengths of white paper from a roll over it down to the floor. You can find the roll of paper at office supply stores; it’s what teachers use to cover those big bulletin boards they decorate for their classrooms. I had almost as much fun making the props as everyone did playing with them (do you feel another blog post coming on? Check it out here). We had moustaches & mouths on sticks, chalkboard thought bubbles, empty picture frames, & umbrellas. Just about half the guests were adults and the other half children, so two favors were in order. The kids took home a moustache or mouth on a stick with a favor tag Beyond Designs made that said “Thanks for a picture perfect first birthday – Liv”. 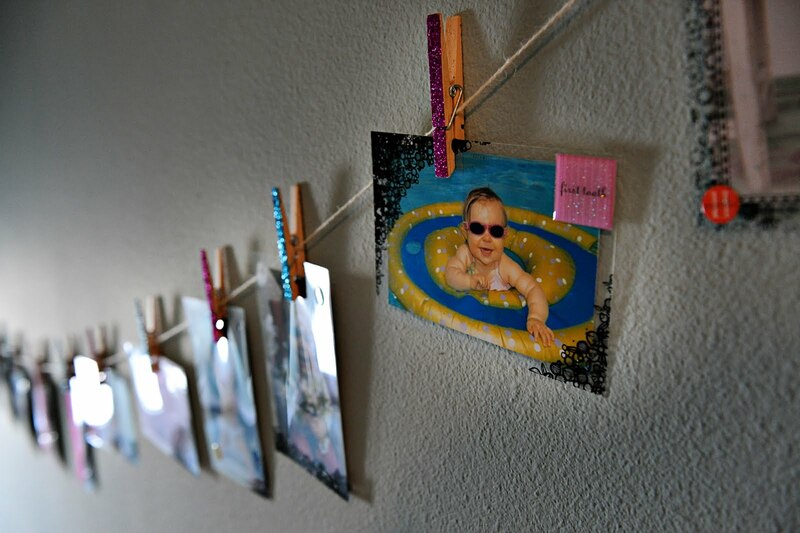 For the parents, the tag was a mini “Polaroid” with the details for ordering a 5x7 print from their photo session on the Elemental Image site. 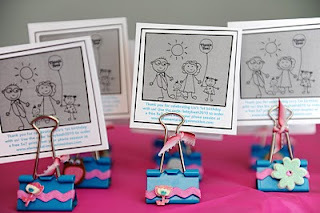 I decorated little binder clips with stickers and ribbon to serve as picture holders. You made it! That's all the highlights from Liv's first birthday party... by this point, I would definitely be getting the "wrap it up" sign from off stage as they try to play me off the stage with the music. So this is me leaning into the mic as it disappears into the floor to say "Thank you to my patient husband for weighing in on every minute detail I brought to you, caring because I do, and being my favorite second set of eyes. My amazing photographer Dawn, you not only made this party look even better than it was, having these wonderful images to remember such a special celebration is a true gift. And to Ginger, for turning my collections of concepts into the sweetest printed materials & our best collaboration yet! I couldn't have done it without you guys!" That is an amazing and original theme. Thank you so much for writing and sharing! Everything was AWESOME!!!! Great job Stacey!!! Job WELL done Momma! Found you through Bella Grace. 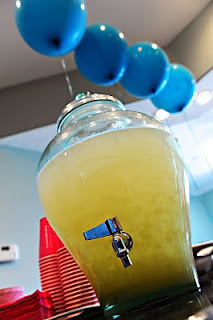 Great party inspiration for sure. Such a cute theme! Love all the details. great job! Such an adorable party! Great job! You did a gorgeous job! I am a new follower! What talent! Absolutely adorable. I'm not sure I'll be able to pull my daughter's first birthday off with such color coordination & perfect-ness (just made that word up; seems appropriate), but I'll certainly try! I'm totally borrowing the picture frame photo "booth" idea. Love it! Thanks for the fun comments everyone! Ellen, I'm going to do a separate post about the photo booth stuff so watch for that "coming soon". wow what a great party. Dawn is awesome. The girls got so big. 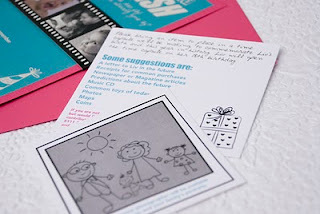 Love the time capsule idea and all the fun details. Very Nice! I wanna have this all for my kid's 1st birthday party! I love the theme so much. Following you from the Wednesday Window Blog Hop! 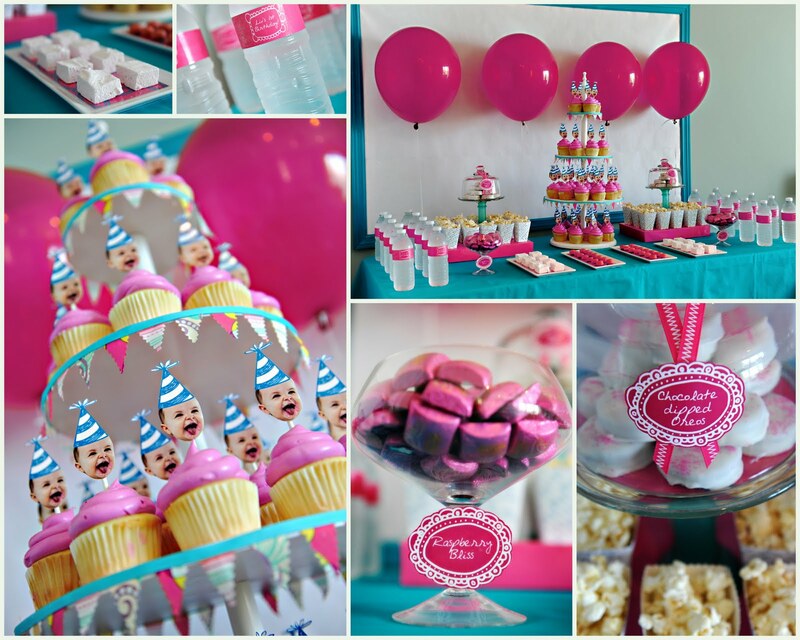 This has to be one of the cutest parties EVER! Love, Love, Love it! Great job! I love how you put all the pictures together- it made me feel like I was reading a wedding blog again and I so miss reading wedding blogs and since I'm married I no longer have a reason to read those anymore. Gorgeous photos by the way! Would love it if you could check out my blog if you get a chance! Thanks! You have a beautiful site! It's a lovely place to visit with great pics . . . I'm visiting from the Wednesday Window Blog Hop. Blessings! Love this! So creative and fun! We list all of the baby daily deals in real-time. Would love for you to stop by, I think you would enjoy it! Hi A! The insert said "A professional photographer will be available to capture you and your family's portrait". Good luck with your son's party! Have fun! Do you have a close up pic of the popcorn boxes or the template you used? Love it all!!!!! What is that font? Congrats on being a finalist!!!!! I just voted for you!!!! Whohooooo!!!!! Good luck! Love it! I voted for you on kara's blog. And I'm totally stealing, er uh, borrowing this idea for my daughter's birthday! Thanks for sharing your creative genius!!! I absolutely love, love the colors in this party! It's so cute! 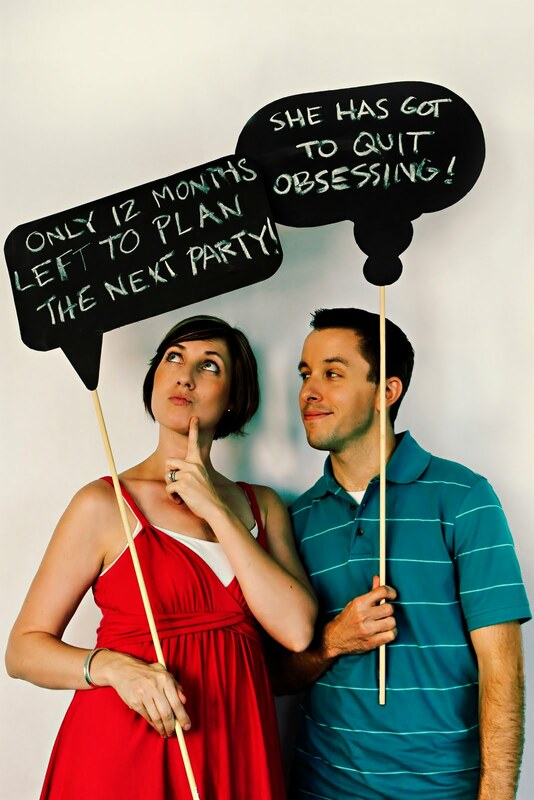 Where did you find the photo props of what I presume are maybe chalkboards? that you and your husband are holding? Love it! I stole, er uh, borrowed the concept of your party. Thank you -- it was so much fun recreating this idea! Stacey - How did you make your backdrop? 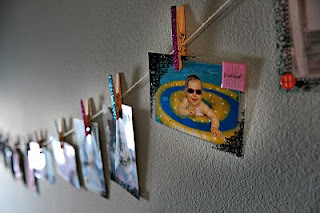 Did you use chair rail to make a frame? And is that paper or fabric in the frame itself?? <3 it!!! Perfect party!!! I voted for you, Your party is so awsome. 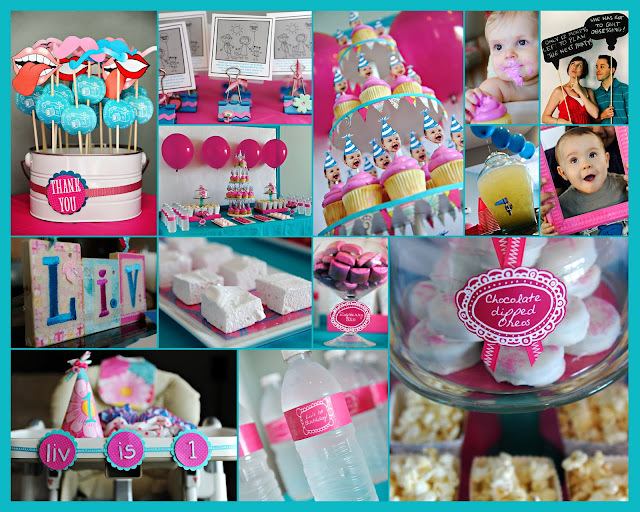 I absolutely LOVE this party theme and used it as inspiration for my son's first birthday last week. You can check out our party on my blog. Where did you get your cupcake stand? Hello, Can you please share how you made the cake eating garb, hat and bib? Wow! You are very creative. 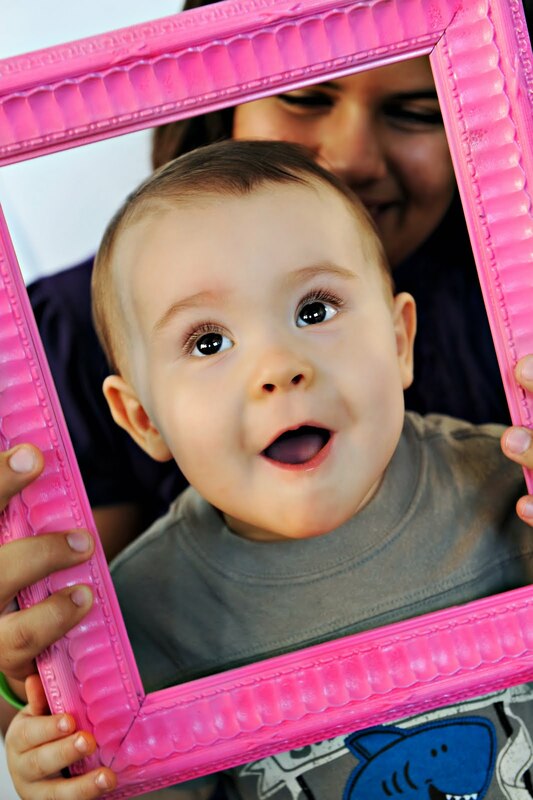 I am trying to plan my son's first birthday party and I love your blog post! Lot's of great ideas. Thanks for sharing! omg! Thank you! 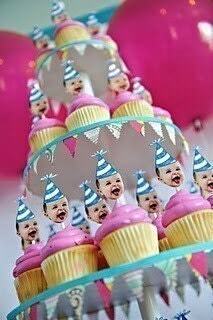 I think I finally found what I want to do for my daughters first birthday. your work is so inspirational. what great ideas.